MOVE IN READY!!! Furnished 2 bedroom 1 1/2 bath very tastefully updated with wood laminate floors, fresh paint and walk-in shower. Many improvements including new roof, new windows, new awnings, new front door, new Maytag washer and new dishwasher per owner. Home also features a 10 x 24 screened porch and a 09 x 11 workshop. Located close to shopping, restaurants and medical. 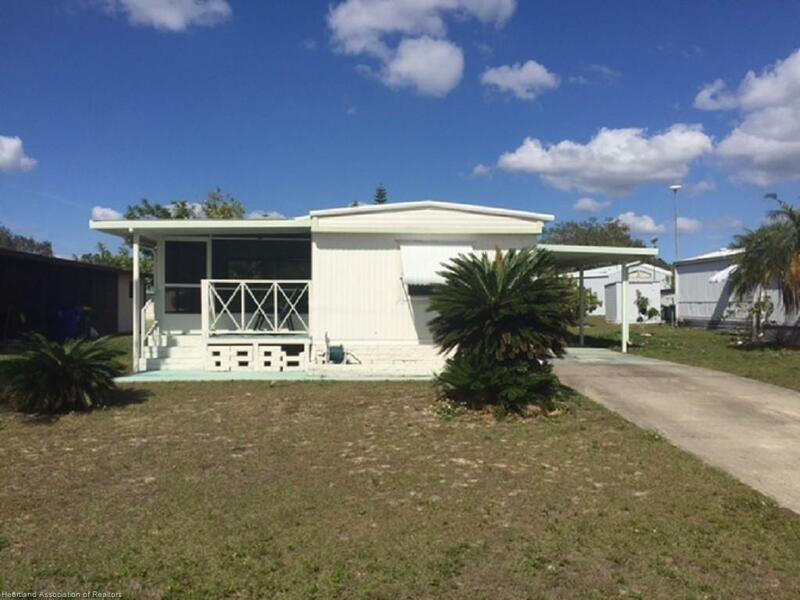 Mobile home on owned land with no HOA fee! Being sold as is with time for inspection.